Background: *Taubmans Pty Ltd was established in 1912 by brothers George and Nathaniel Taubman in Sydney. It grew to become one of the largest manufactures of domestic interior and exterior paints in Australia. Prior to the establishment of the company, the two Taubman brothers had imported and distributed paint supplies for painters and signwriters, however the growing demand for locally produced paint products saw them establish a manufacturing plant in St Peters, Sydney, in 1901, and create the Taubmans Pty Ltd business in 1912. 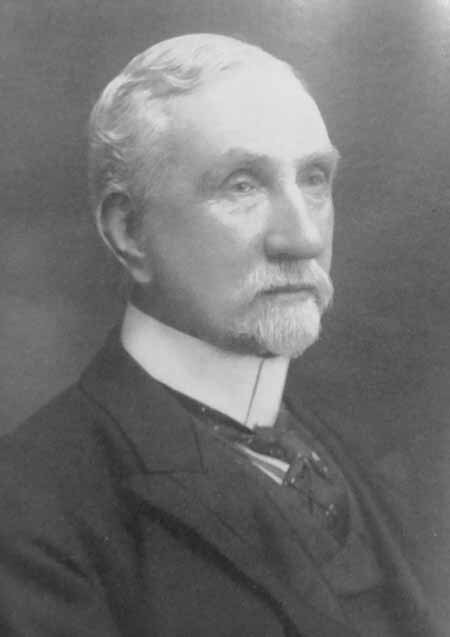 Nathaniel Taubman sold his share of the business to George in 1914, and went on to establish his own company, Sterling Varnish Co. with his son Claude Percival. George Taubman continued to expand Taubmans Pty Ltd and by 1928 the company was one of the largest paint manufacturers in New South Wales. Technological innovation within the plastics and paint industries during the mid twentieth century further secured Taubmans position as a leader in the manufacture and distribution of synthetic alkyd paint. George Taubman retired as managing director of Taubman Industries in 1916, and died in September 1938. 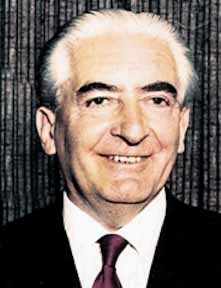 His son Henry Taubman was chairman of the company from 1938-1952. In the 1940s Taubmans Industries was formed. By the 1950s the Taubmans range included oil paints, enamel, super gloss enamel, waterproof, paving paint, aluminium enamel finish, semi flat, clear gloss, texture finish dull varnish, subdued lustre, washable water paints and brilliant gloss finishes. The interior range includes: 'Russolene' , 'Dulsetta', 'Gransetta', 'Zotena', 'Staywhite', 'Butex', 'Tradex', 'Dynamel', 'Revelite', Eggshell Varnish', 'Plasco', 'Penetrol', and 'Tradex'. The exterior range includes: 'Solpah Paving Paint', 'Cement Proof Paint', 'Roof & Structural Paint', 'Mironite' and 'Silvfros'. 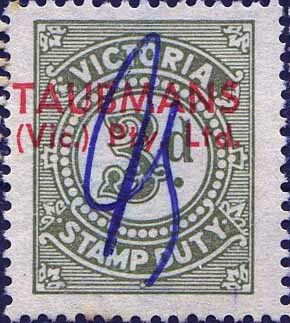 During the mid twentieth century, Taubmans underwent rapid expansion, establishing both industrial and retail premises in all states of Australia, as well as in New Zealand. By the mid 1950s Taubmans retail showrooms were located in 12 branches across Australia. In 1958 Taubmans launched the 'Sepctrocolour' range of paints, for interior and exteriors. Background :Thomas Borthwick was born in 1835 at Musselburgh, near Edinburgh. As a youth, he gained experience in the family butcher’s shop but soon showed talent in livestock dealing. In 1863, he set out as a livestock agent at Manchester and in 1871, at Liverpool, which had newly started receiving live cattle imports from America and Canada. In 1871, Borthwick married Letitia Banks of Liverpool, daughter of Richard Banks, of Richard Banks & Sons, shipping butchers. The trade connection was to have significant impact on the development of Borthwick’s business. In 1883, Borthwick’s brother-in-law, Joseph Banks, resident in New Zealand and a member of a syndicate of New Zealand farmers shipping frozen meat to Liverpool, sent a consignment to Borthwick who became the official selling agent for New Zealand Loan & Mercantile Co. In 1892 Borthwick bought no. 367 stand at Smithfield (the major London meat market), quickly followed by several more stands. At the same time, Borthwick opened an office at the Central Meat Market, soon moving to larger offices at West Smithfield. In 1897, Borthwick took his two eldest sons; Thomas Banks and James, into partnership and the business became known as Thomas Borthwick & Sons. His two other sons would later also become partners. The first successful bulk shipment of Australian frozen meat, for Australian Frozen Meat Co., took place in November, 1879, (the cattle were killed ashore and frozen on board). New Zealand followed suit in early 1880, in which year Borthwicks had depots in Liverpool, Glasgow, Birmingham and Manchester. By 1900, the firm was operating 22 shops in Liverpool, Glasgow, Birmingham, Hull and elsewhere. A 35 year lease was taken on Kennet Wharf (soon known as Borthwick wharf) on the Thames and a subsidiary company Thames Cold Storage Co. Ltd was formed in 1901. The company moved, in 1905, from West Smithfield to Audrey House, London, re-locating to Priory House, London, in 1963. The company did a huge trade in the 1900s exporting rabbits, by the hundreds of thousands, especially from Victoria. 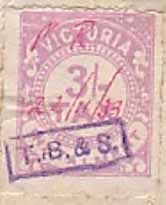 In 1905, Thomas Borthwick & Sons became TB & S Ltd. and a subsidiary company, TB & S (Australasia) Ltd, covering Australia and New Zealand with the head office in Melbourne, was also formed. The Portland & Western District Freezing Works were offered to Borthwicks (for £16,000) at the same time negotiations were underway for the purchase of 77 acres of land at Brooklyn, then on the edge of Melbourne, the purpose built freezing works opening in 1908 at a cost of £600,000. In New Zealand, in 1905, Borthwick’s started building processing works near Hastings in the North Island. 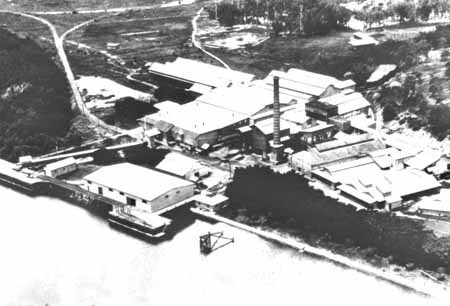 While Borthwick’s already had buyers operating in Queensland, it was not until 1909 that a site on the Brisbane River was purchased at Moreton, with the first shipment in 1912. Total cost £115,000. In 1914, TB & S (Aust’asia) Ltd acquired the lease on Banchory Station (originally 400sq. miles gradually reduced by the State to 120 sq. miles) in Queensland, followed later by Stanbroke and Alderley stations. In 1933, the company bought the works at Merinda, near Bowen, Queensland. The first successful shipment of Australian chilled beef occurred in the mid-1930s and rabbits were a sideline. In Victoria, vans with portable chillers collected from local rabbiters, the carcasses going to Brooklyn and Portland, a business which continued into the 1960s. A prolonged drought in the USA beef producing states resulted in Borthwicks entering the American market with imports from Australia and New Zealand. An agency had existed in America since the 1930s, but in 1960 Thomas Borthwick & Sons (USA) Ltd was incorporated. 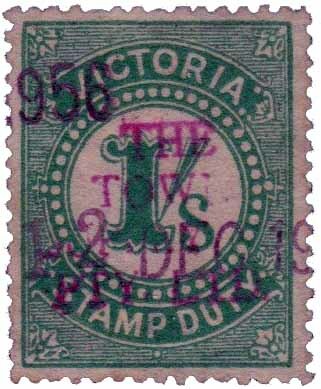 By 1963, TB & S (Australasia) Ltd in Australia owned processing works at Albany, Adelaide, Yahi, Portland, Brisbane and Bowen, three cattle stations and shareholdings in a fourth. In New Zealand, the company owned five processing works and operated another eighteen. Thomas Borthwick was created a hereditary peer in 1912 and took the title of Lord Whitburg, after the estate he had purchased in Scotland. He died before the peerage could be conferred and the title passed to his son, Thomas Banks Borthwick. Background: *Kenneth William Thomas was born in 1913, in Murrumburrah, near the railway town of Harden, N.S.W. Thomas started work as a 15 year old before completing two degrees as an adult student at Sydney University. During World War 2, Thomas worked for the Department of Labour and National Service. In 1946, still retaining his war time job, Thomas bought a 5 tonne truck and trading as K.W. Thomas, hired Frank Legge as driver, while driving the truck himself at weekends. The inadequacies of the rail system and a rail strike resulted in the profitable opportunity to transport cement to Melbourne and hides to Sydney. The business grew, especially with the availability of surplus military heavy vehicles. The first reference to the business is to K.W. 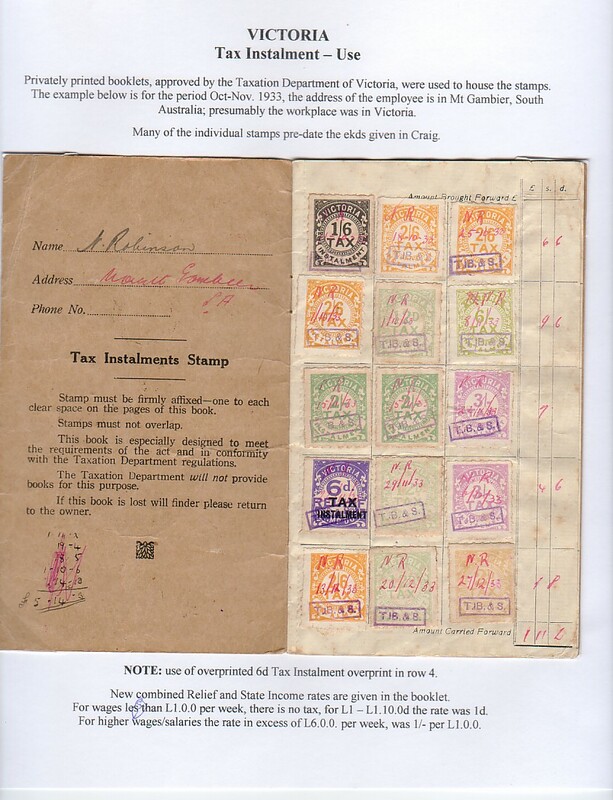 Thomas (Melbourne) Pty Ltd, is in February, 1952, when the sole Australian address is 33 Cowper Street, West Melbourne. In 1955, K.W. Thomas became a public company trading as K.W. Thomas Pty Ltd. In Melbourne the company was described as KWT (Melb) Pty Ltd (KWT Transport Co. Pty Ltd & Freightex) located at 33 Cowper Street, West Melbourne. The road terminal was in Mariot Street, Brooklyn and the garage at 16 Charles Street, Brunswick. By the late 1950s, there were branches of the company in every capital city. Thomas pioneered the use of freight notes to streamline administrative operations, using shipping containers and, in 1958, using rail to transport trucks across the Nullabour Plain. In 1958, K.W. Thomas Pty Ltd changed its name to Thomas National Transport, listed in the directories as TNT (Melb) Pty Ltd. In 1960, head office was located at 654 Footscray Road, West Melbourne, with the rail division at Cowper Street, West Melbourne. 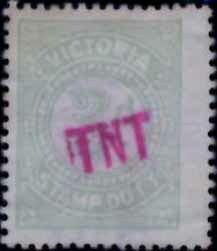 In 1969, TNT (Melbourne) became TNT (Vic-Tas) Pty Ltd, still operating from Footscray Road. In 1963, the company changed its name again to Thomas Nationwide Transport, but its designation as TNT Pty Ltd remained the same. During the 1960s the company branched into maritime and rail freight, acquiring Bulkships, an Australian shipping company, and using roll-on roll-off ships for the Tasmania service. TNT was also running dedicated trains between Melbourne and Sydney. In 1967, Alltrans, founded in 1950 by Hungarian migrants Peter Abeles and George Rockey, merged with Thomas Nationwide Transport and the combined companies became TNT Ltd, with Peter Ables (later Sir Peter) as managing director. TNT Ltd operated under the banner of Alltrans Southern Express Pty Ltd of 115 Pitt Street, Sydney. Alltrans and TNT formed Comet Overnight Express to compete with Adelaide based company IPEC. Operating initially in Australia and New Zealand, TNT Ltd expanded rapidly, and by the 1980s was “second biggest transport empire in the world”, operating in 180 countries. In July, 1972, however, Ken Thomas increasingly radical, publicly views had forced him to resign from TNT, ending all direct involvement with the company. In 1992, TNT Ltd co-founded GD Express Worldwide owning 50% of the organisation; the other 50% was owned by KPN and partners (the state-owned postal companies of Canada, France, West Germany and Sweden). 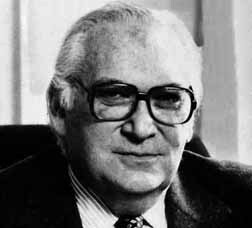 TNT was suffering from debt-ridden investments in Europe and Sir Peter Abeles retired as managing director. In 1994/5, KPN floated on the Dutch Stock Exchange and in 1996 bought out TNT Ltd in a friendly merger. In 1998, KPN demerged its postal division, combining it with TNT to form TNT N.V. In 2011, TNT Express was demerged from its parent company, listing on the Euronext Amsterdam Stock Exchange, TNT N.V. renaming itself PostNL. In May, 2016, the purchase of TNT Express by FedEx was completed. TNT Australia’s head office is currently located at 201 Coward Street, Mascot, N.S.W., with over 40 depots in all states and territories.